This Land Rover Range Rover Velar has a powerful Intercooled Turbo Diesel I-4 2.0 L/122 engine powering this Automatic transmission. YULONG WHITE METALLIC, WHEELS: 22 X 9 7 SPLIT-SPOKE GLOSS BLACK -inc: Style 7015, Tires: 22 AS, SIRIUS XM SATELLITE RADIO & HD RADIO. 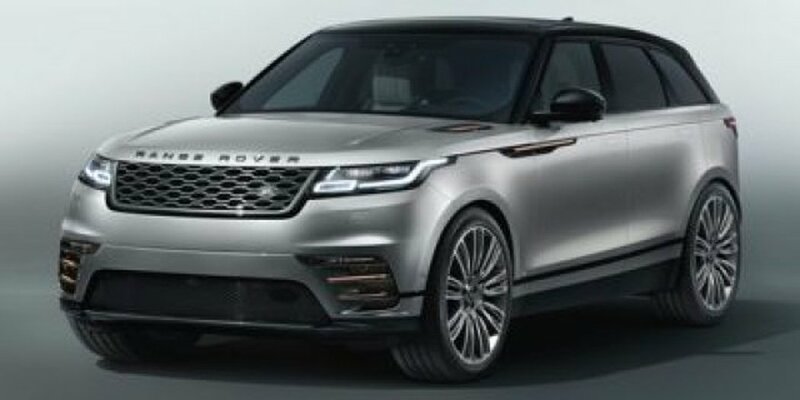 * Drive Your Land Rover Range Rover Velar R-Dynamic SE in Luxury with These Packages*R-DYNAMIC BLACK EXTERIOR PACK -inc: Narvik black bonnet and tailgate lettering, lower blade, fender and door finisher, tow eye cover surround, bonnet vent blade and air curtain inserts, Narvik Black Grille Mesh, grille surround in Narvik black, Narvik Black Exhaust Finisher, HEATED WINDSCREEN -inc: heated washer jets, HEATED STEERING WHEEL, HEAD-UP DISPLAY, GRAND BLACK VENEER, FULL EXTENDED LEATHER UPGRADE -inc: Windsor leather on driver airbag cover, mid and topper IP and door top roll lowers and uppers, ELECTRICALLY ADJUSTABLE STEERING COLUMN, ECLIPSE/EBONY, PERFORATED WINDSOR LEATHER SEAT TRIM, ECLIPSE/EBONY, PERFORATED GRAINED LEATHER & SUEDECLOTH SEAT TRIM, DRIVER ASSIST PACK -inc: Blind Spot Assist, Adaptive Cruise w/Queue & Steering Assist, 360 Surround Camera, High Speed Emergency Braking, CONFIGURABLE AMBIENT INTERIOR LIGHTING, BLACK ROOF RAILS, BLACK CONTRAST ROOF, ADAPTIVE DYNAMICS, 20-WAY FR CLIMATE & RR HEATED SEATS W/MEMORY/MASSAGE -inc: electric 2-way fore/aft, electric 2-way cushion height, electric 2-way recline, electric 4-way lumbar, electric 2-way cushion tilt, electric 2-way cushion extension, electric 2-way adjustable bolster, electric 2-way headrest height and 2-way winged headrests. * Stop By Today *Stop by Jaguar Land Rover Lakeridge located at 280 Achilles Rd, Ajax, ON L1S 7S3 for a quick visit and a great vehicle!Prices include all fees except licensing and HST.